A New Insight into Schizophrenia? Researchers have identified a specific brain circuit that provides insight into how we filter out distractions. The discovery, by scientists at Cold Spring Harbor Laboratory, has implications for understanding and treating severe psychiatric disorders such as schizophrenia. Such disorders are characterized by substantial attention deficits. In their investigation, the researchers proved that a “neuronal skin” called the thalamic reticular nucleus (TRN) regulates brain signaling that controls attention and sensory processing in the brain. The signaling that the TRN regulates takes place between the thalamus, a kind of “guard gate” for the brain, and the cortex, where most cognitive function occurs. The TNR is a skin atop the thalamus, and earlier researchers have theorized that the TRN is a guardian of the “guard gate” itself. The CSHL researchers, led by Associate Professor Bo Li, used new viral technology combined with mouse models developed by CSHL Professor Josh Huang, to precisely target the TRN. They also found that when they inactivated a protein called ErbB4 in the TRN, the mice were much less able to focus despite distraction. 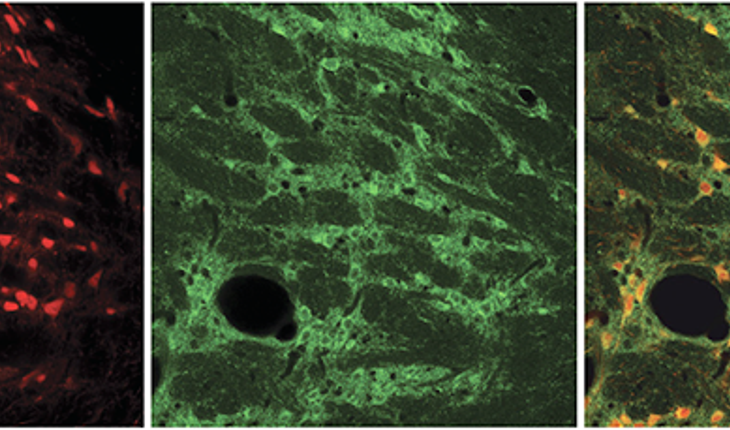 Mutations of ErbB4, which is present in large amounts in the TRN, have previously been linked to schizophrenia and other attention deficit disorders. Li said that subsequent research may lead to more effective drug treatments of these illnesses.